Celeste And Jesse Forever is an indie movie that is the brainchild of actress Rashida Jones. Based on real life experiences & trends among friends, she (along with co-writer Will McCormack with Lee Toland Krieger directing) created a movie that shows when love is complicated. However, it’s not as simple as someone getting in the way of a love interest like you’d find in your run-of-the-mill, sugar coated romantic comedy complete with light pink font. 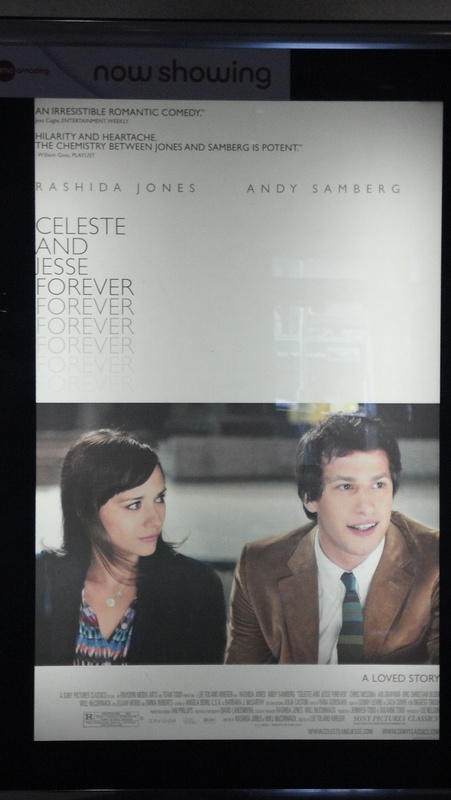 Celeste (Rashida Jones) & Jesse (Andy Samberg) are high school sweethearts who got married at a young age. By the time the movie starts, we learn that Celeste is hard at work at a media consulting firm while Jesse yet to take life seriously. Despite the job discrepancy, the couple remains close as they speak to each other every day & maintain their unique relationship. Oh yea, did I mention that they do this while being separated with a divorce looming & living within close quarters? As the couple gets closer & closer to signing the divorce papers, Celeste & Jesse both deal with the circumstances of the separation in different ways while struggling to maintain what they have. After everything that this couple has been through, will they be able to go forward with the divorce? Celeste And Jesse Forever features very powerful performances from its lead actors. Jones is remarkable as she leads the cast by portraying a woman trying to make sense of her life after things don’t go quite as planned. While Jones’ performance is the stronger out of the duo, Samberg proves that his talent is not limited to comedy. Samberg’s performance in this film won’t likely be nominated for an Oscar; he does, however, display impressive dramatic chops. As a team, Jones and Samberg have remarkable chemistry. The two are completely believable in as a couple as they feed off of one another, whether during pleasant times or difficult times. It also features supporting performances from Eric Christian Olsen & Ari Graynor as Tucker & Beth, Celeste & Jesse’s best friends who are engaged, Emma Roberts as Riley, a pop sensation whom Celeste reluctantly represents, and Elijah Wood playing Scott, Celeste’s workmate & confidant. Forever is full of funny characters that also have heart to them. Acting aside, the plot/story of Celeste And Jesse Forever is a welcome change to the color-by-number genre. On the one hand, it’s littered with plenty of chuckle/funny moments. For the most part, the jokes were well delivered & timed. On the flip side, there is rich emotional conflict and drama that will leave audiences wondering where the characters will end up. These scenes show reveal the emotional core of characters as they reveal the ‘why’ of characters actions as opposed to simply what they need to do (i.e. getting the girl/boy back). While there are comedic moments in a movie involving characters with feelings for other characters [You didn’t see wrong, I know exactly what I typed. ], this movie is not your cookie cutter romantic comedy [if that’s what you want to call it]. The cons were so minor that they were mostly unnoticeable. The language is very spicy at times & the humor can be risqué but not excessively over the top as some mainstream comedy movies.